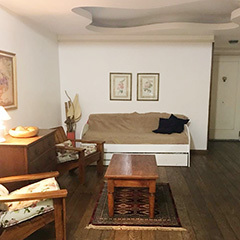 - Living room area with dining table and chairs for 4 people, sofa and cable TV. 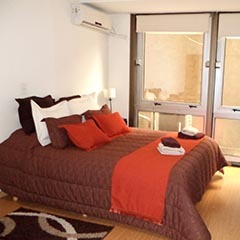 - 1º Bedroom with 2 single beds or a double size bed and air conditioning cool/hot. • Dining area with table and chairs for 6 people. 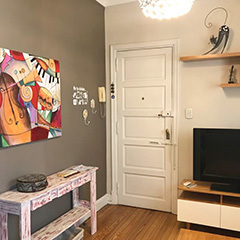 • Relax area with white sofa bed (2 single beds), modern sideboard and lovely paintings. -Living room with dining table for four. 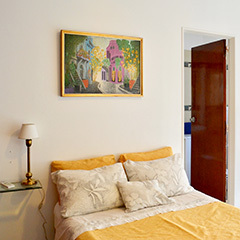 -Main bedroom with a queen size bed, cable TV and a huge and nice window. 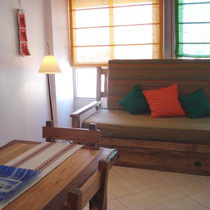 -Living area with wooden table and chairs for 6 people, and cable LCD TV. 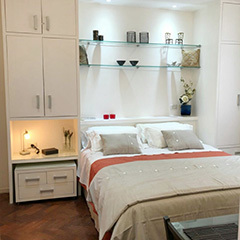 -Bedroom with double size bed and wide wardrobe. - Living room area with a double sofa bed. - Fully eqquiped kitchen with breakfast bar. 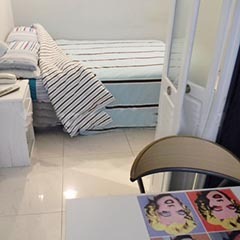 - Bedroom area with 2 single beds -Optional queen size bed-. •Relax sector with sofa, coffee table, and cable LCD TV. - Fully equiped kitchen with oven, blender, freezer. 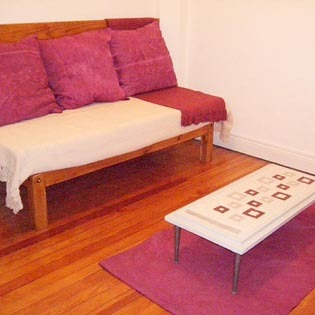 - Living room area with nice sofa bed (2 single beds), coffee table and cable TV. - Dining area with table and chair for 4 people. 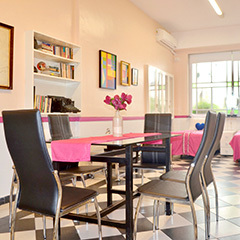 -Dining area with table and chairs for 4 people, and breakfast bar and stools for 2 people. -Cozy relax area with simple sofa bed, coffee table and cable LCD TV. • Double Sofa bed and Cable Tv. • Dining room with a modern table and chairs for 4 people. -Fully equipped kitchen with bar. -Dining area with table and chairs for four. 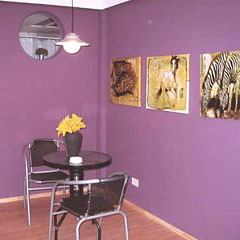 -Dining room area, with table and chairs for 4 people and cable TV. 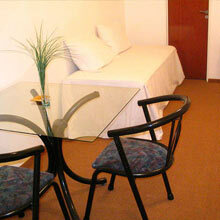 -Warm relax area with double size bed-sofa, coffee-table and stand lamp. - Dining area with table and chairs for 5 people. •Relax sector with simple sofa bed. 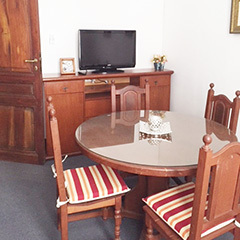 •Dining sector with table and chairs for 4 people, and cable LCD TV. 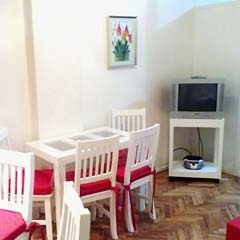 - Relax/Dining area with table and white leather chairs for 4 people, cable TV and PC. - Modern and equipped kitchen. 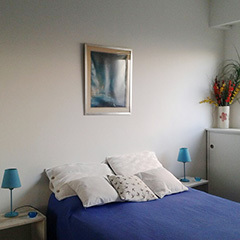 - Bedroom area with a double bed and night tables. - Suspended slab with a double sofa bed. 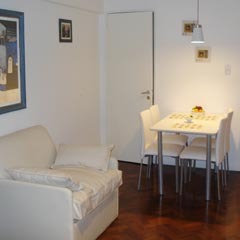 - Fully equipped kitchen with table and chairs for 2 people. • Relax area with wide and comfortable sofa, stylish armchairs, cofee-table and Cable TV. • Dining area with table and chairs for 2 people. 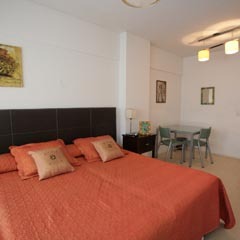 -Bedroom area with panoramic view, queen size bed, desk and TV. 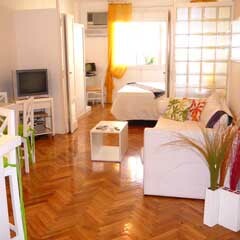 - Spacious and comfortable living room with a table with 4 white leather chairs, with access to TV. - Big bedroom with 2 simple beds that can turn into a double bed. - Integrated dining area and kitchinette. - 2 comfortable simple beds that can turn into a double bed. 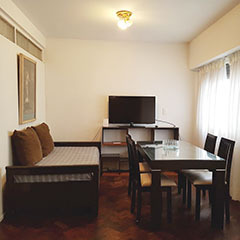 - Lovely living-room area with futon and cable TV. - Dining area with table and chairs for four. 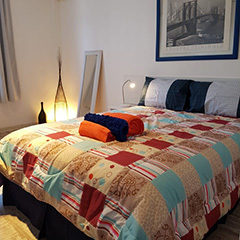 - Main bedroom with two comfortables simple beds (otional to one double bed). - Integrated dining area and kitchinette with a table and chairs for 4 people. - A very comfortable double bed. -Dining area with table and chairs for 2 people. 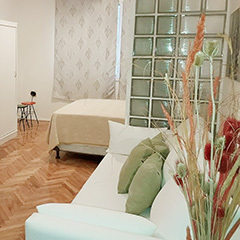 -Cozy bedroom area with comfortable double size bed. 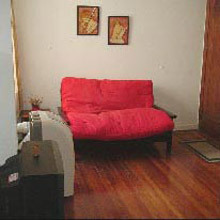 - Living area with comfortable sofa-bed (2 singles beds optional to double) with cable TV and stereo system. 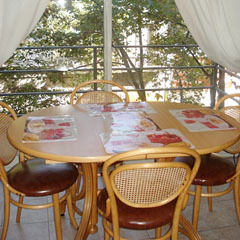 - Dining area with table and chairs for 4 people. -Kitchen area incorporated to main area. 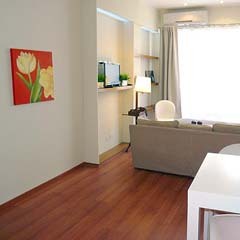 -Bedroom area with queen size bed and LCD cable TV. 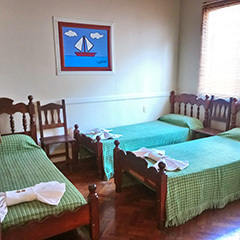 -Cheerful bedroom area, with comfortable queen size bed and cable LCD TV. -Precious dining area, with elegant table and chairs for 2 people, with wide window. -Fully equipped kitchen, integrated to the main area. 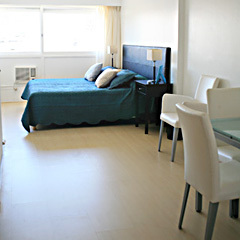 -Bedroom area with a king size bed and Cable TV. -Relax area with double sofa and coffee table. -Living room area with dining table for two. 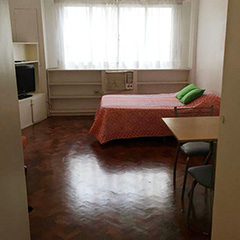 -Bedroom area with 2 single beds -or 1 double bed-.